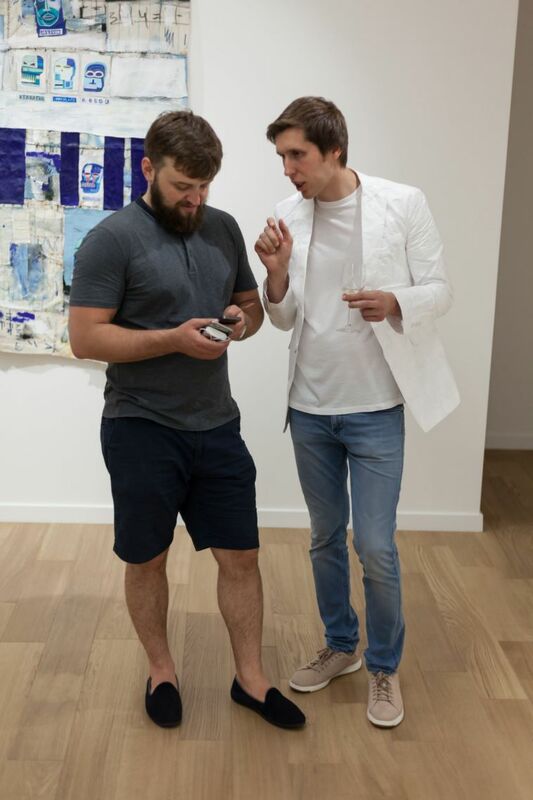 On July 11, 2017 in Kyiv Voloshyn Gallery an exhibition of independent projects of six Ukrainian artists-Ruslan Tremba, Serhii Zapadnia, Bohdan Tomashevskyi, Polina Verbytska, Maryna Bindich, Volodymyr Kohut, among which there are famous figures of the Ukrainian art world as well as little known young artists, whose works are not less valuable. What is he-a modern author? What subjects affect his work, what is his range of interests? 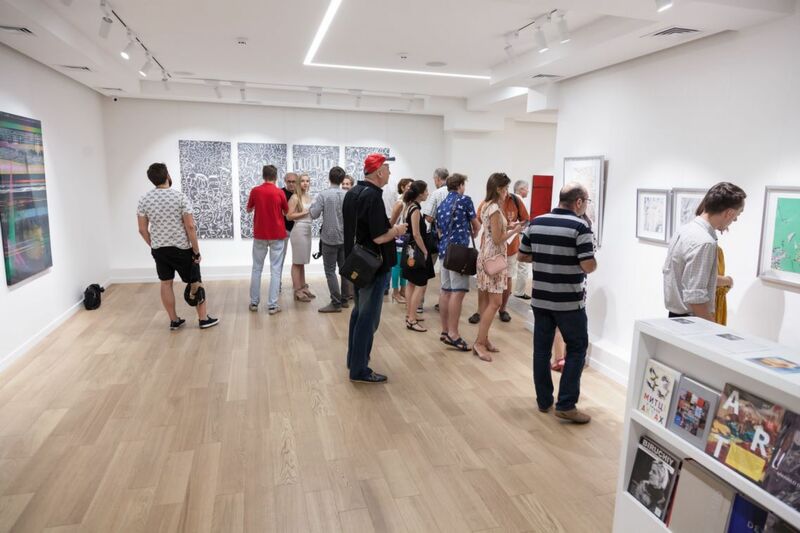 These are the questions posed by the organizers in the annotation to the exhibition. 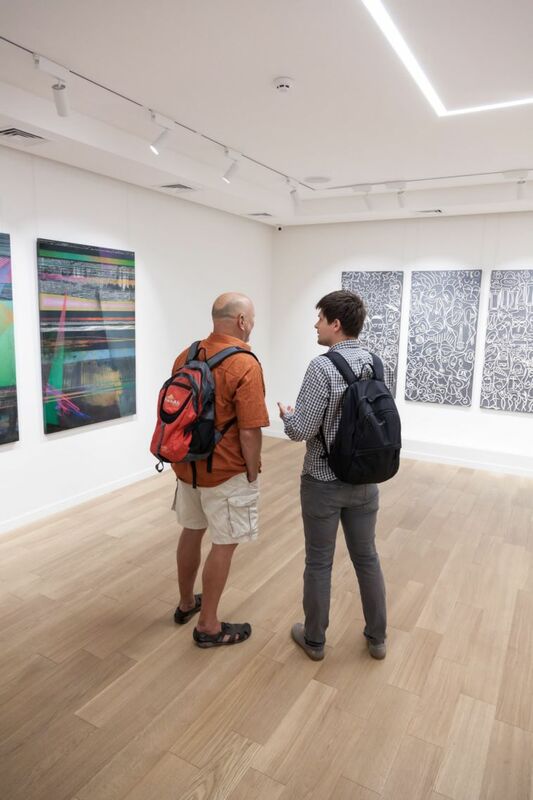 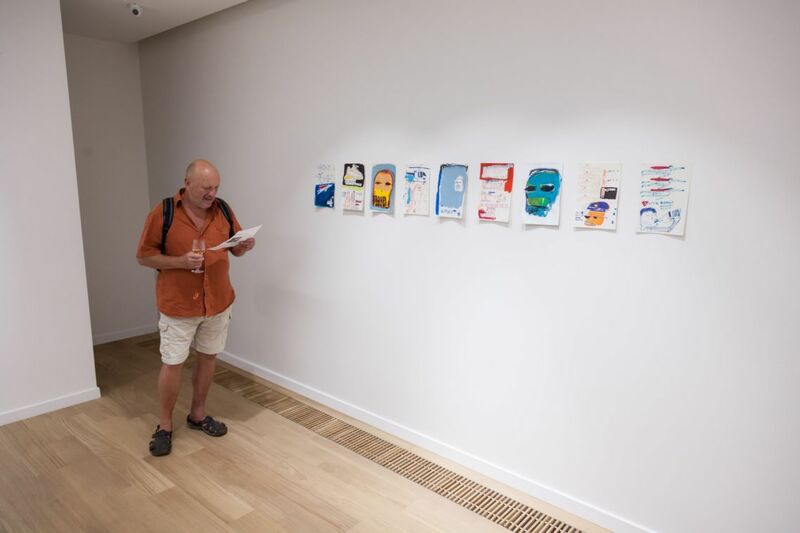 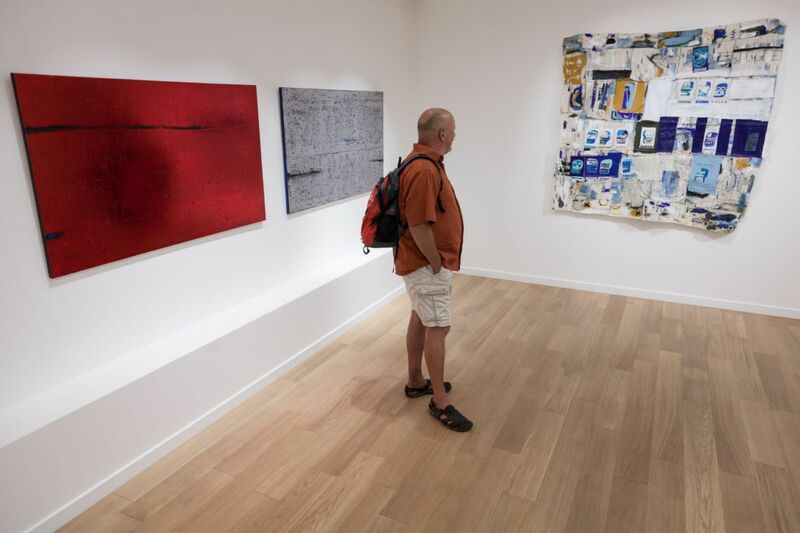 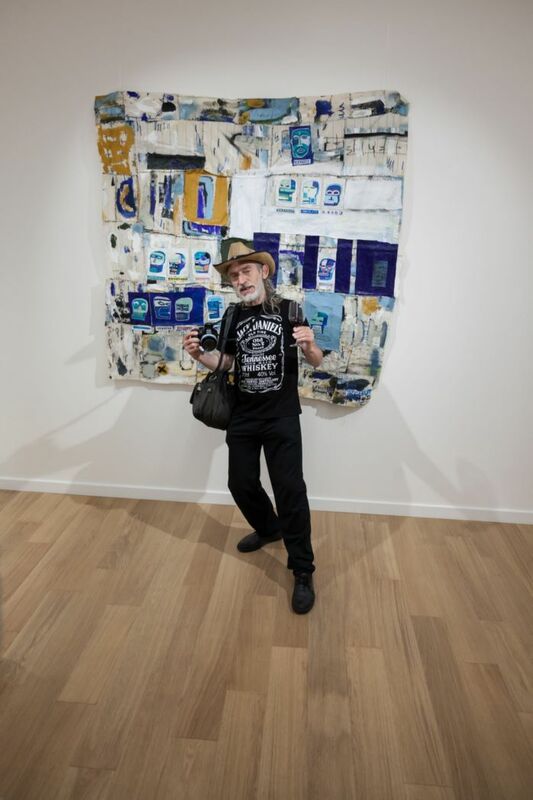 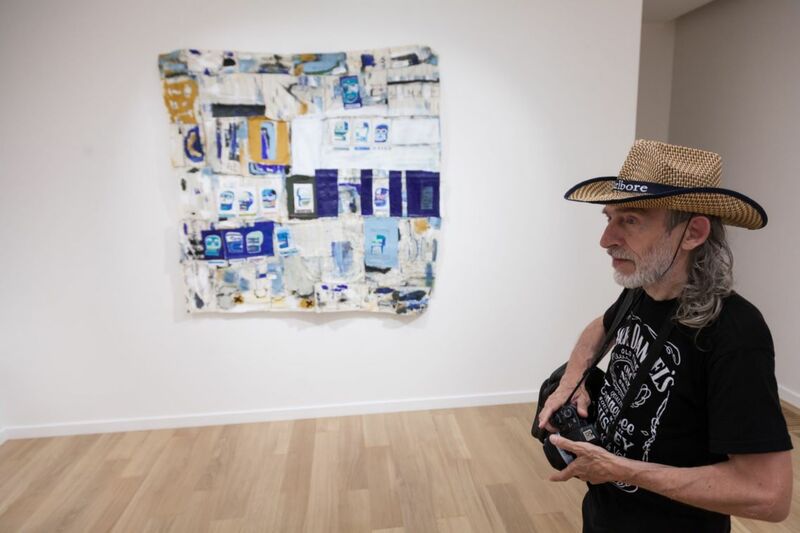 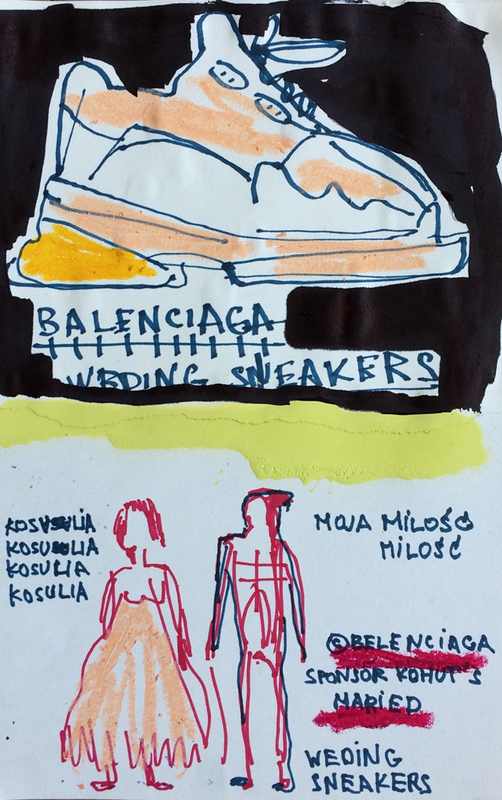 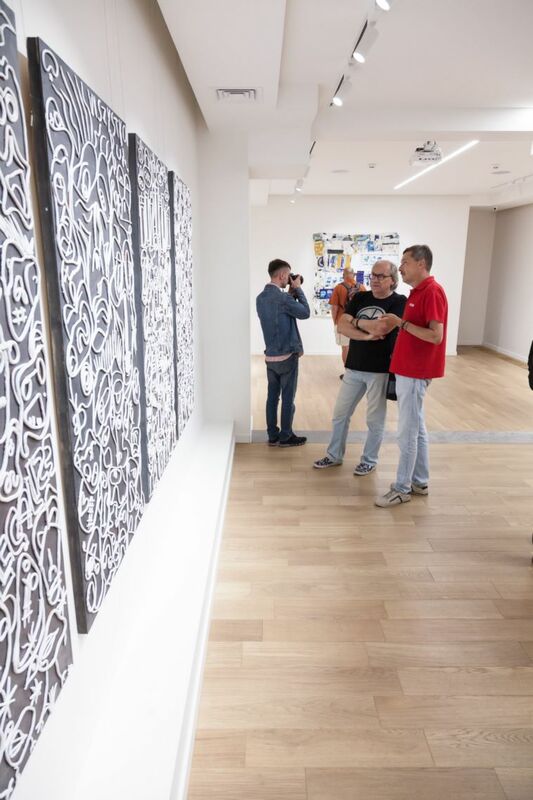 Slowly leading the viewer to the fact that the time of creative groups, such as those in which the artists of the cultural space of the 90s or 2000s were united, is passing and the time of singles, individual figures in art comes to replace it. Among such figures there is a Transcarpathian native Ruslan Tremba represented at the Voloshyn Gallery exhibition. 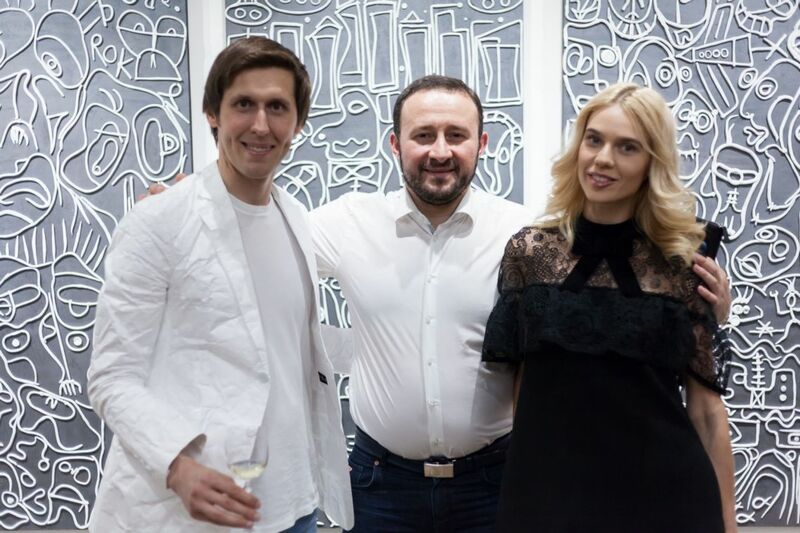 He presents two abstract painting works “Evenings on the Farm”, which were created during the plein air in Velykyi Pereviz in Poltava. 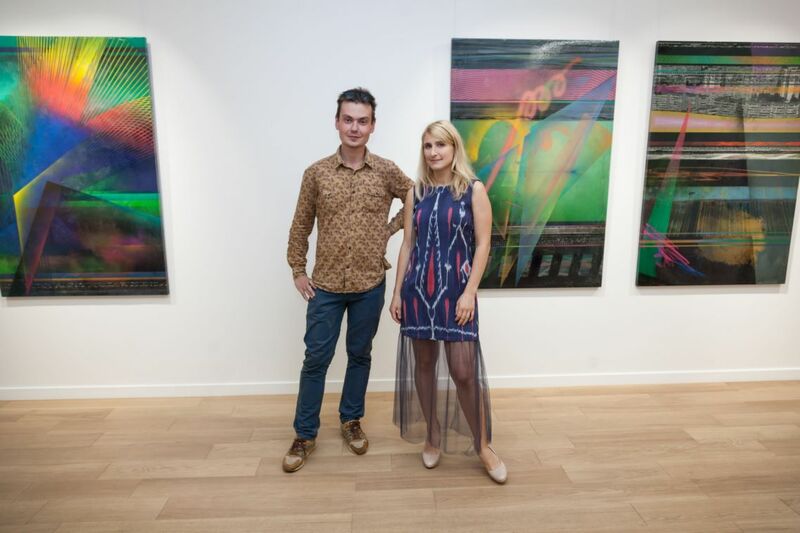 “The series “Evenings on the Farm” is part of my long, multi-year project “To be present” or “My Realism”, the characteristic feature of which is that the work is created by coloured glossy gilding. 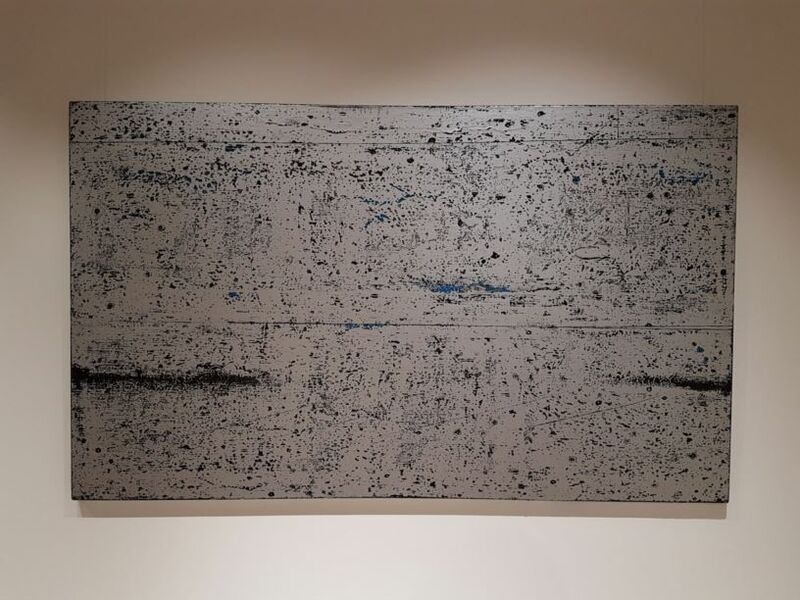 And, thanks to their almost mirror surface we can see our reflection in the works, that means we are present in them, hence the name,”- the artist says. 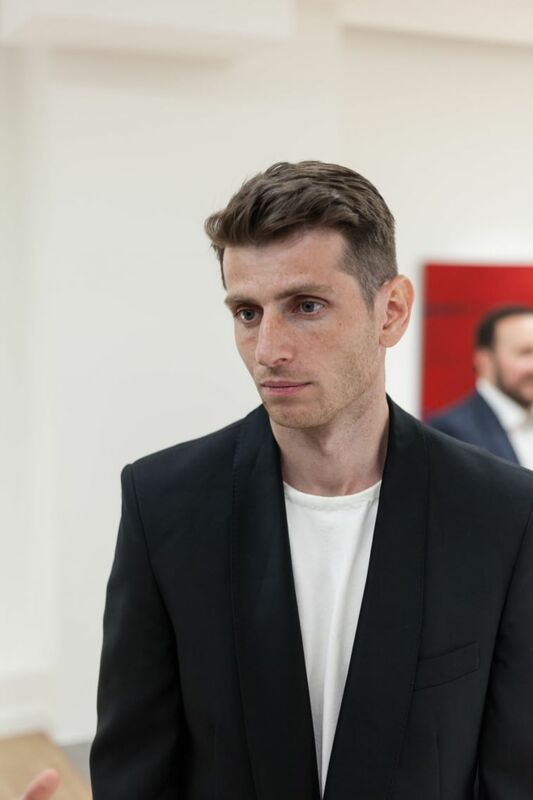 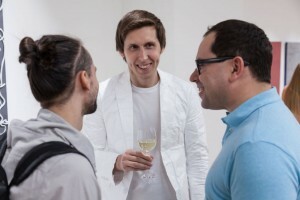 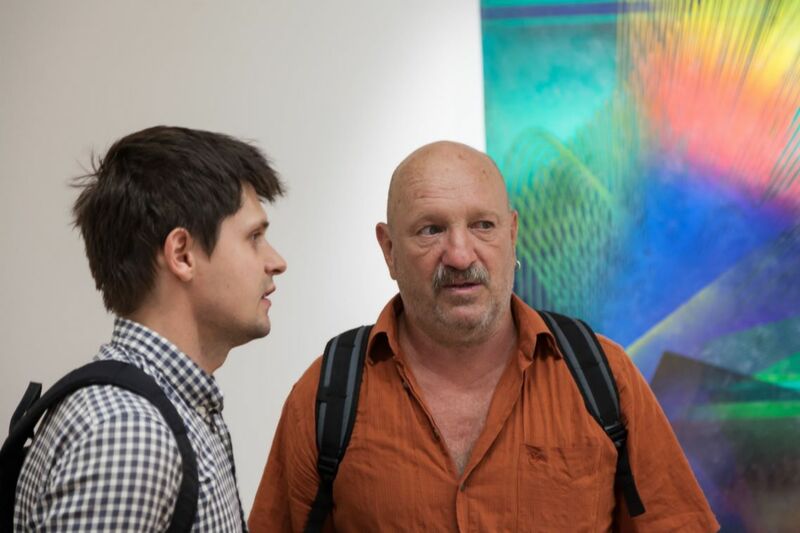 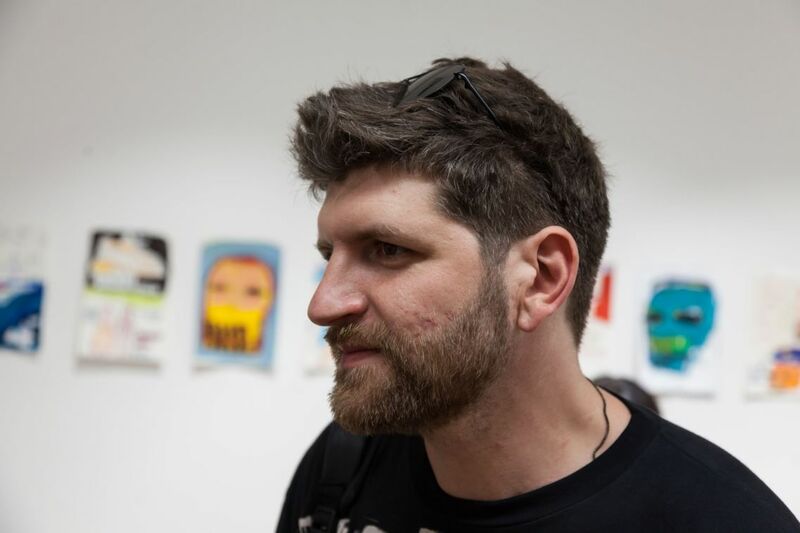 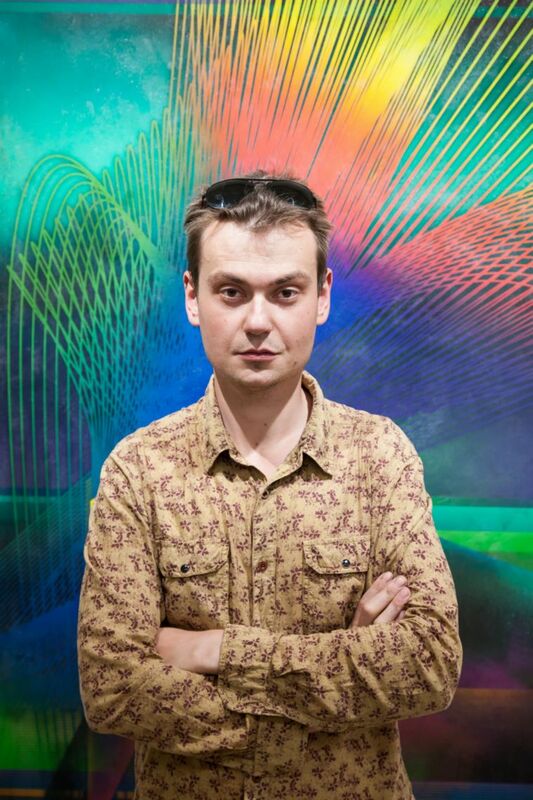 Serhii Zapadnia presented the work “Digital Dreams”, which actually defines new graphic and technological limits in the Ukrainian artistic context, as well as “... the person's position in relations with the machine on the threshold of virtual reality”. 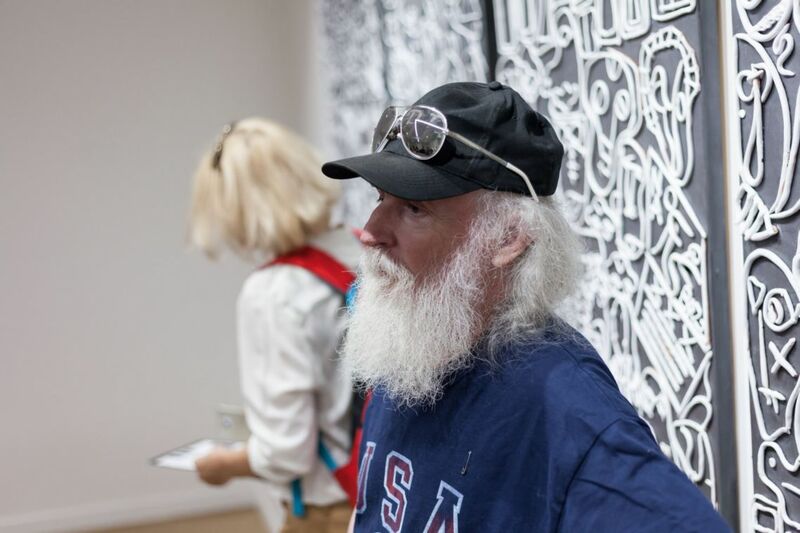 The work of Bohdan Tomashevskyi “Drawings on the asphalt” is a fragment of a series of ten works with the common name “Short stories about everything in the world”. 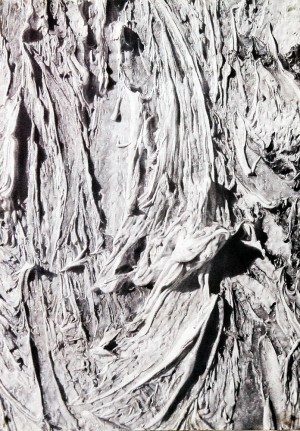 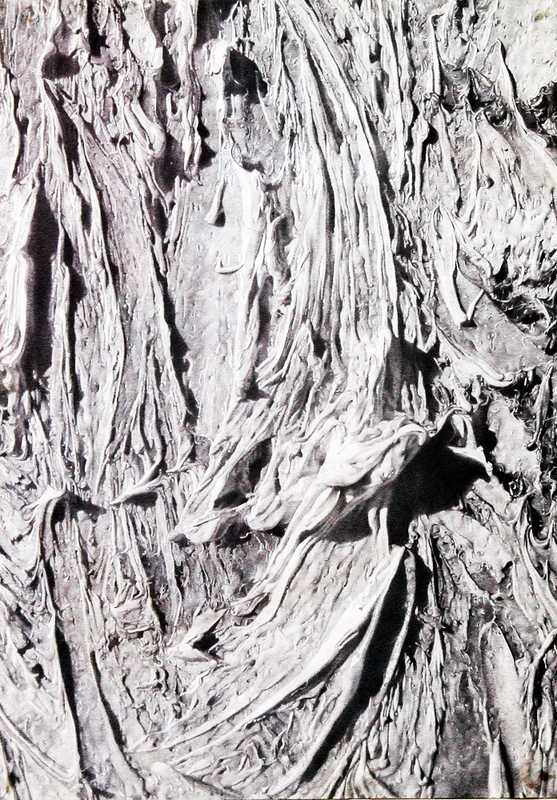 They are made in mixed technique - this is a relief of clay on a grey background. 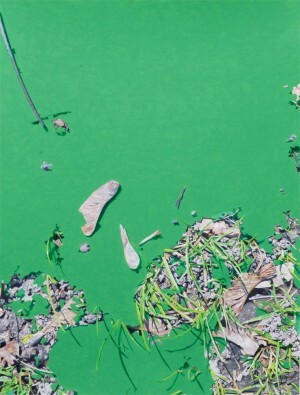 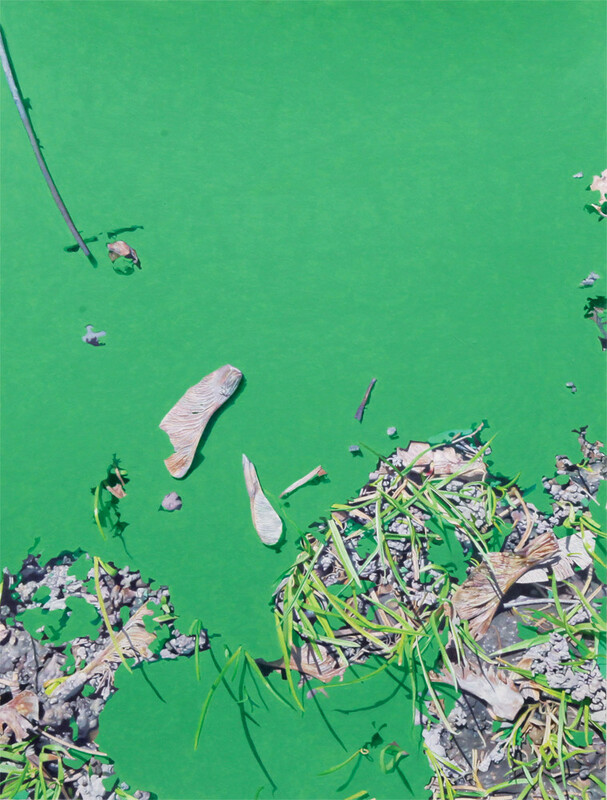 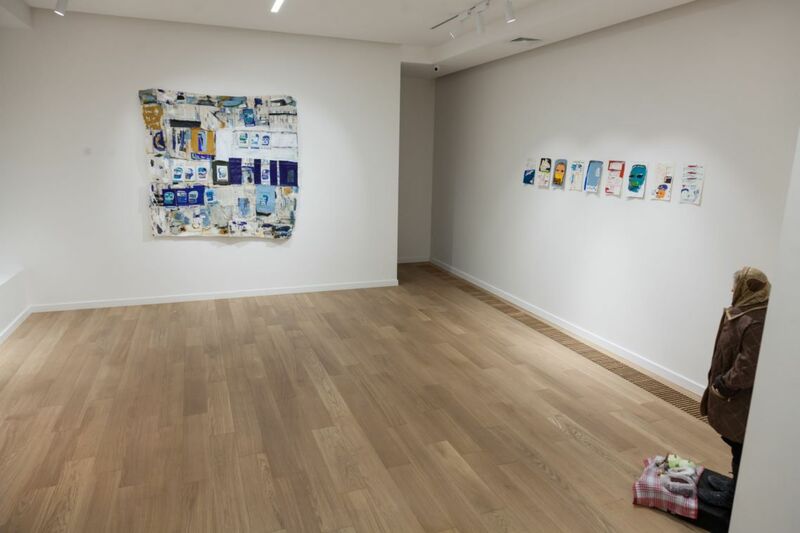 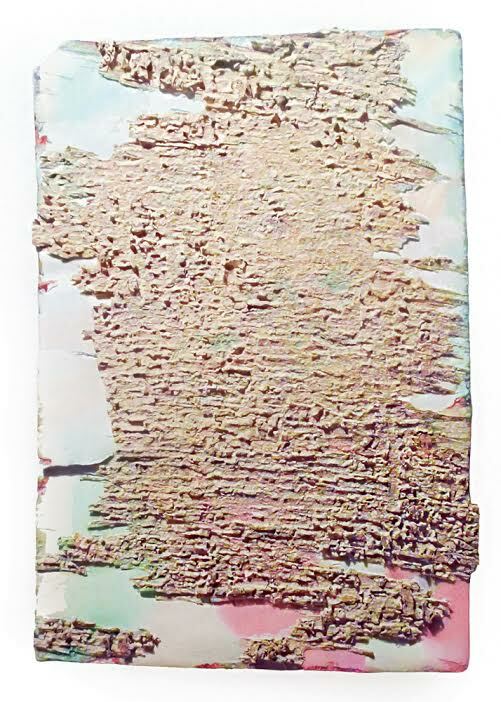 The work resembles separate children's drawings with chalk on the asphalt on a “not childish theme” with each of these fragments has its own story and plot. 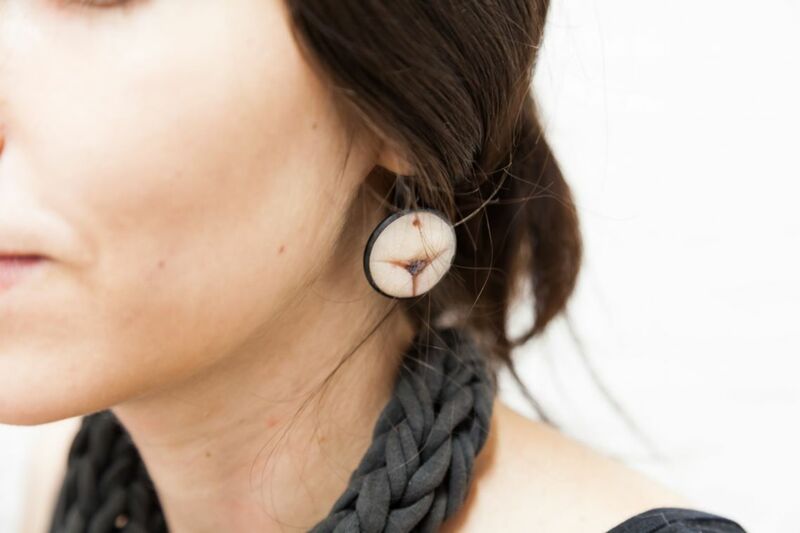 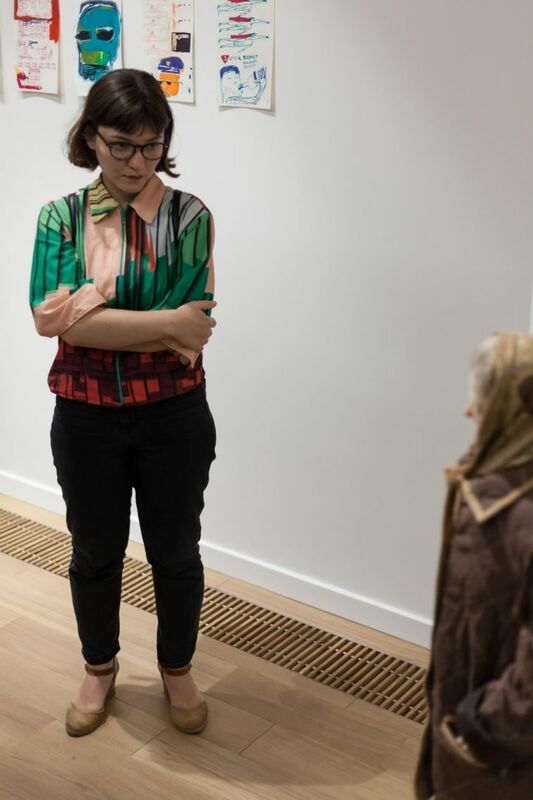 Polina Verbytska presents the composition-installation “A Figure. 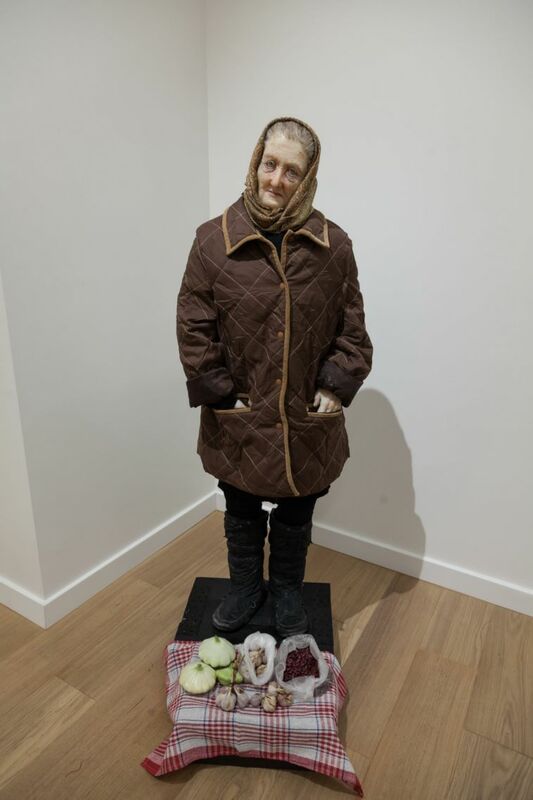 Woman.” This is a hyperrealistic sculpture depicting an older woman and symbolizes that everyday life can also be poetic. 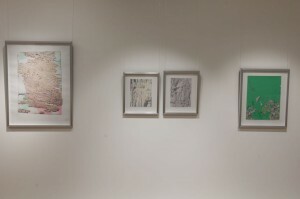 Maryna Bindich's project is called “Dualism” and includes four drawings, made in a complex author's technique, each of which conveys a separate theme: religion, nature, art composition, and a person. 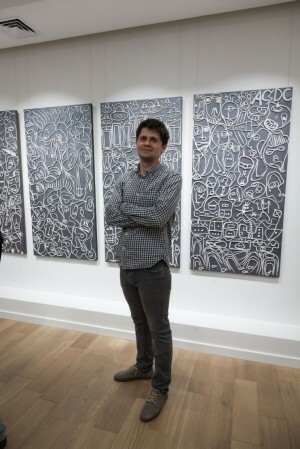 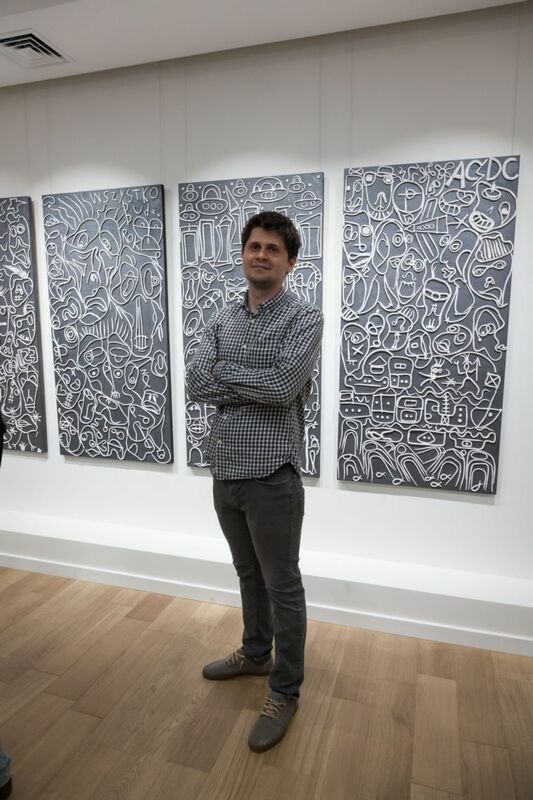 The young artist from Lviv Volodymyr Kohut also presented his works at the exhibition. 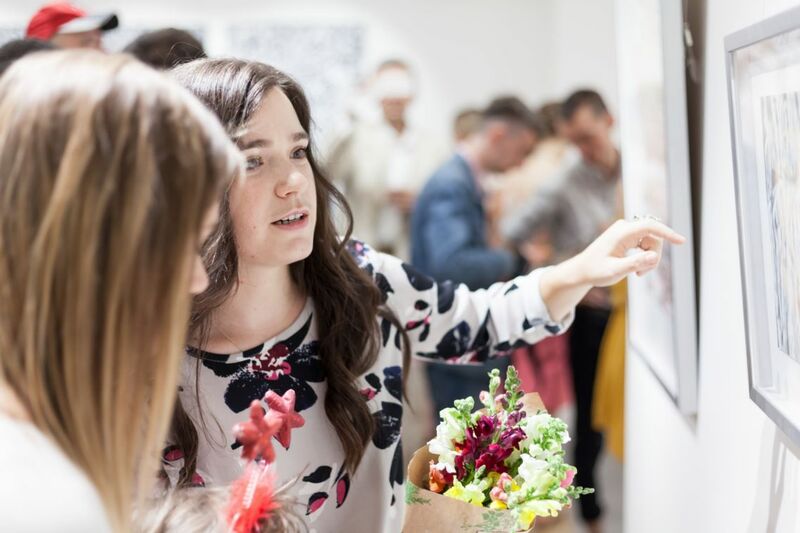 He announced himself this spring during the All-Ukrainian Student Contest in Painting “Silver Easel” which was held in Uzhhorod. 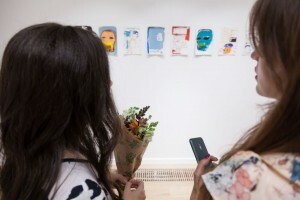 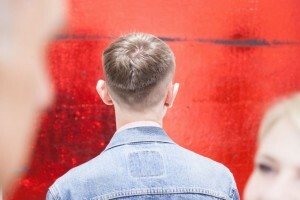 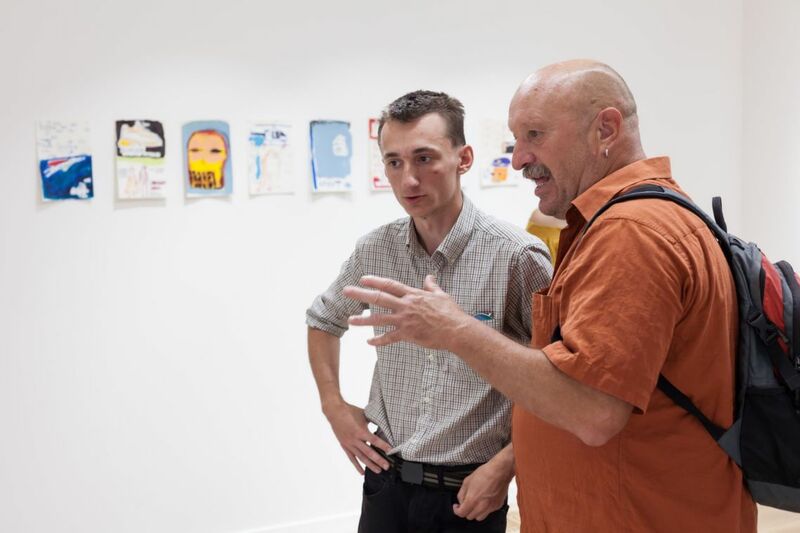 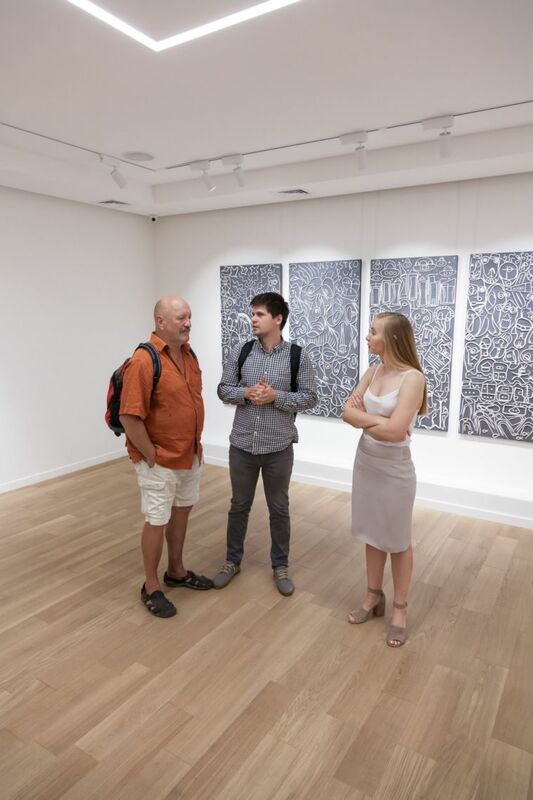 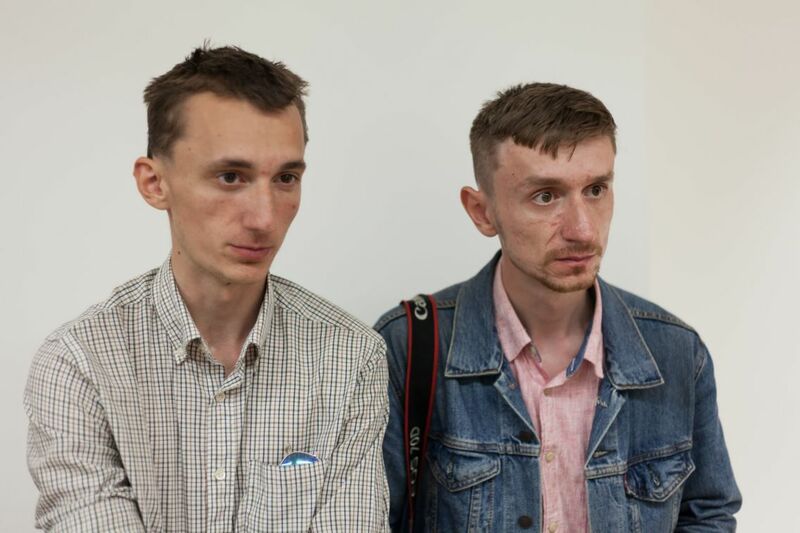 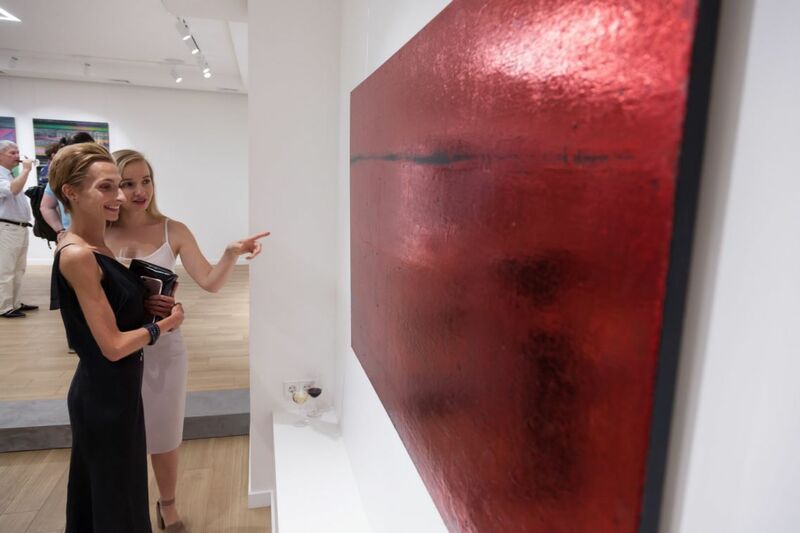 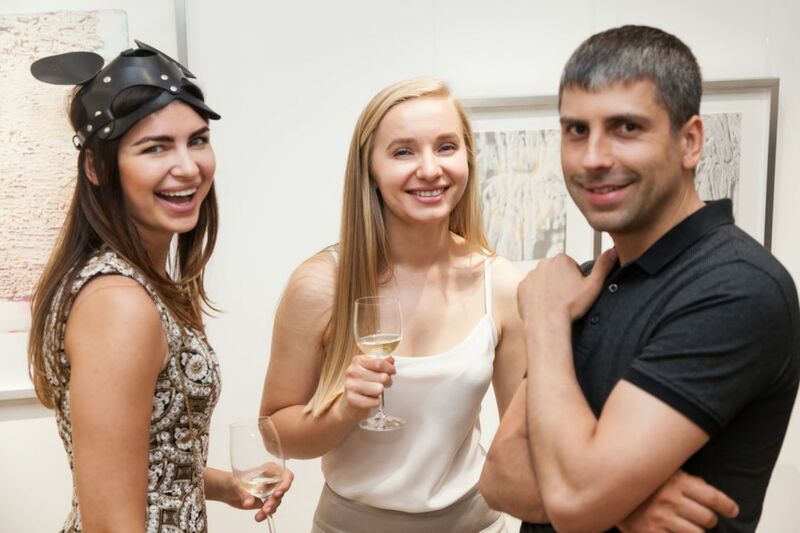 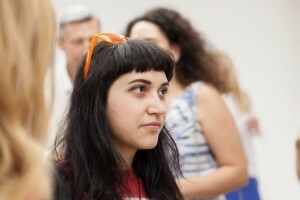 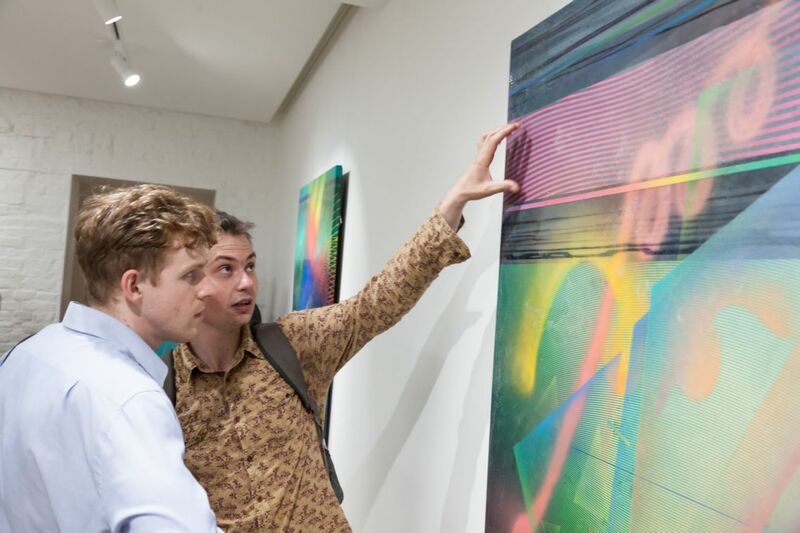 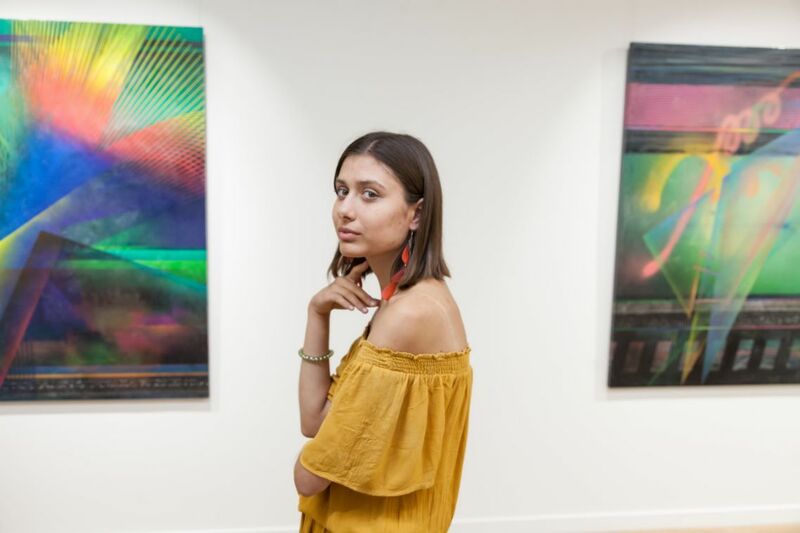 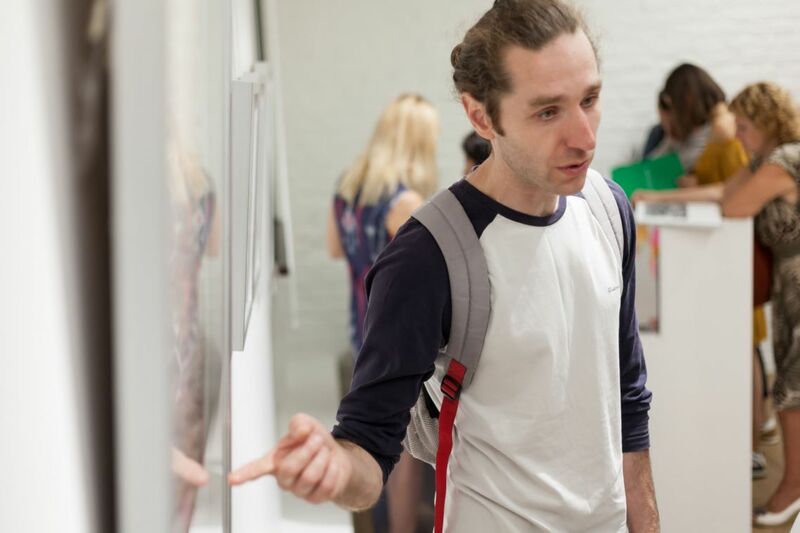 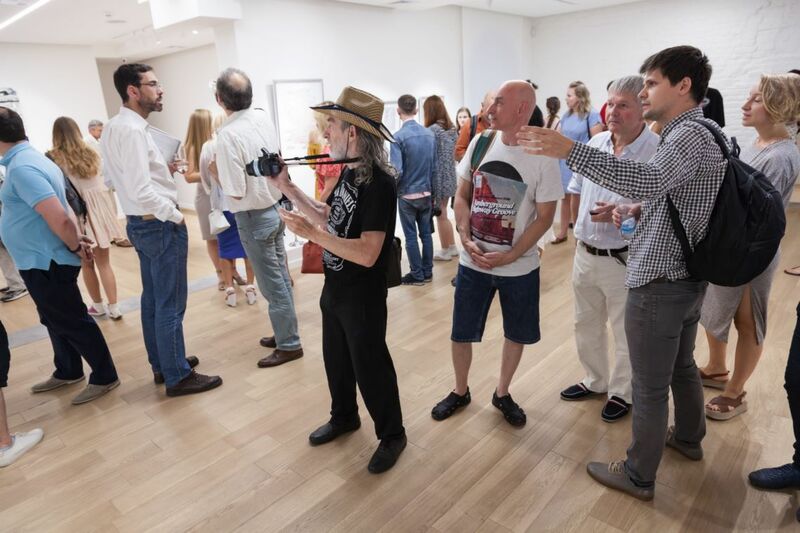 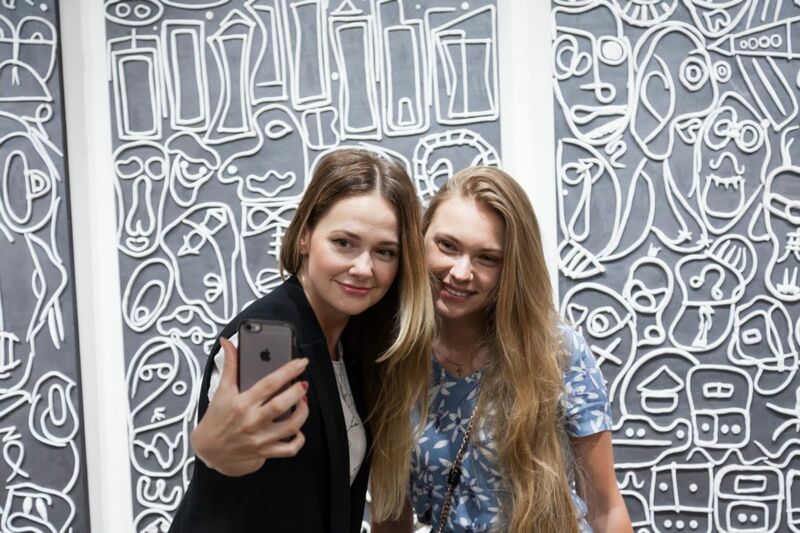 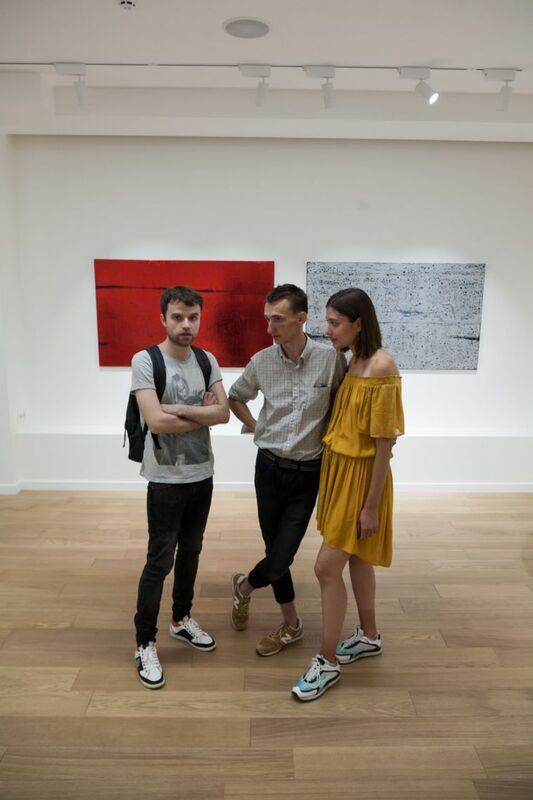 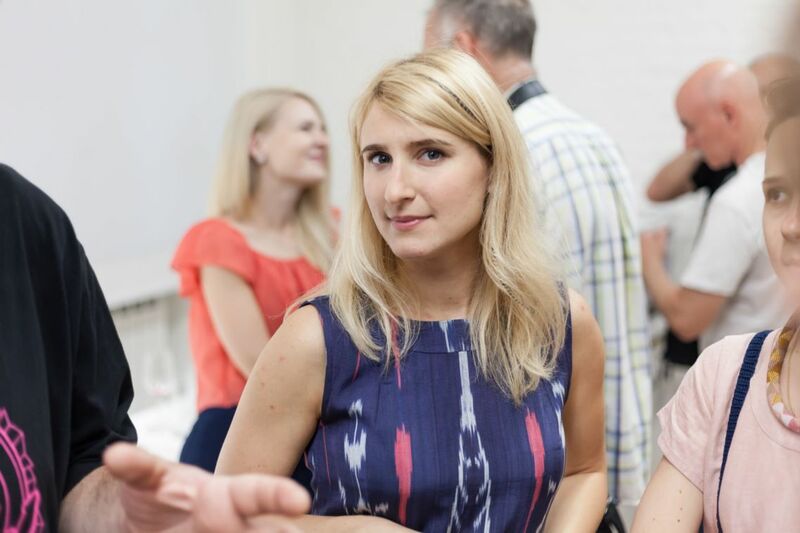 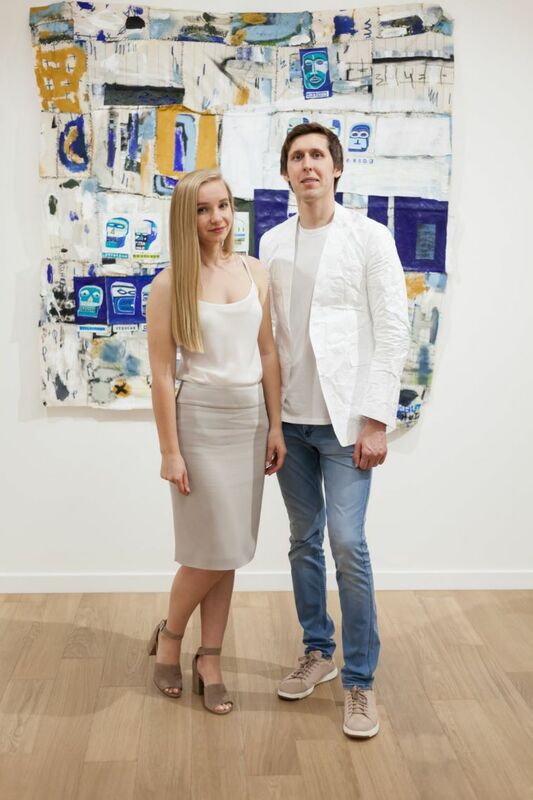 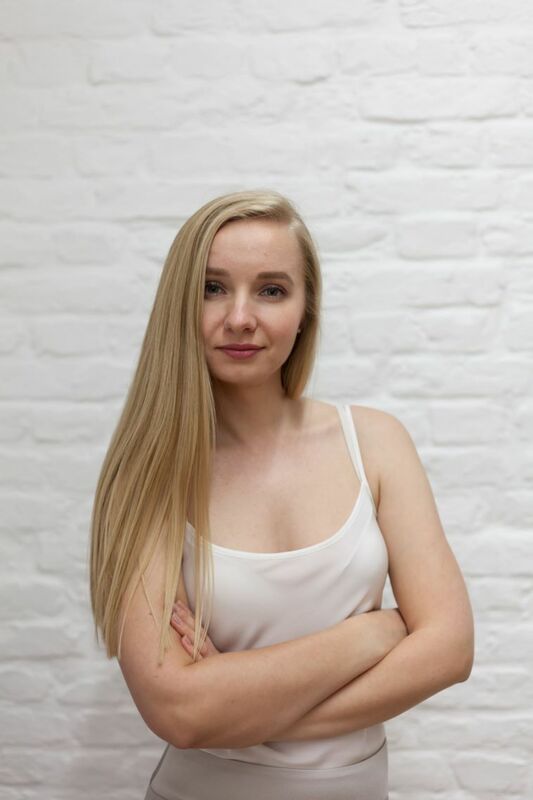 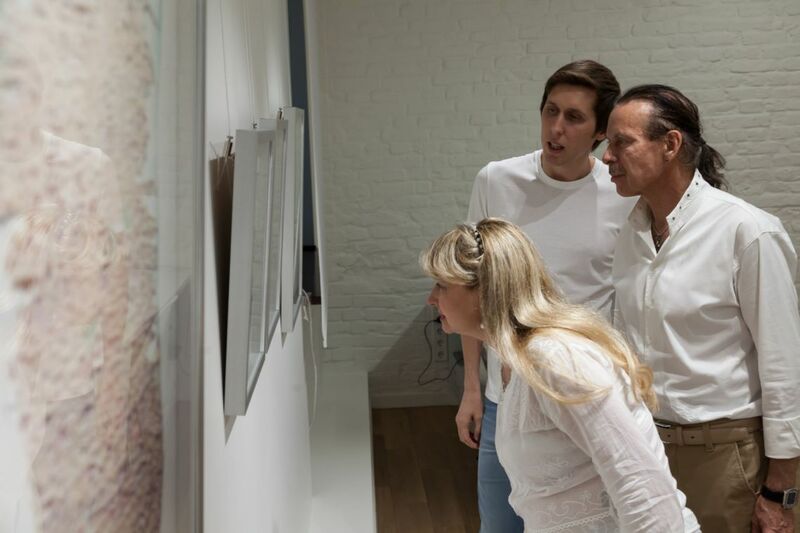 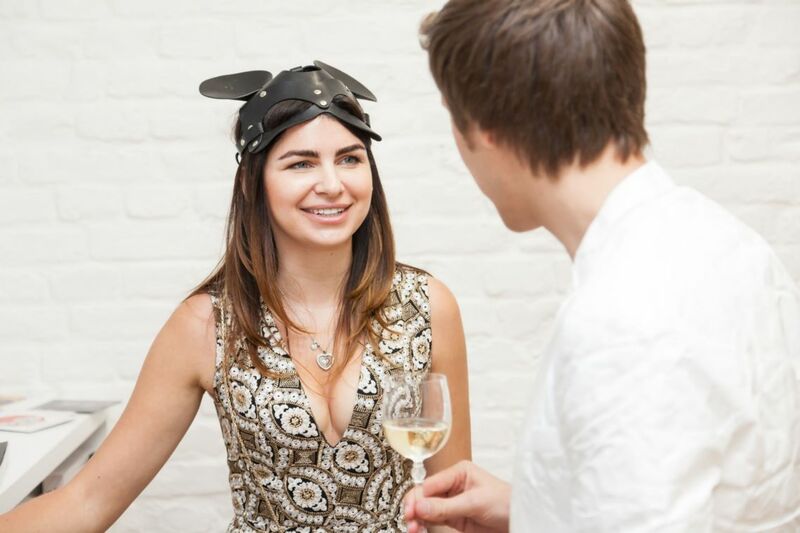 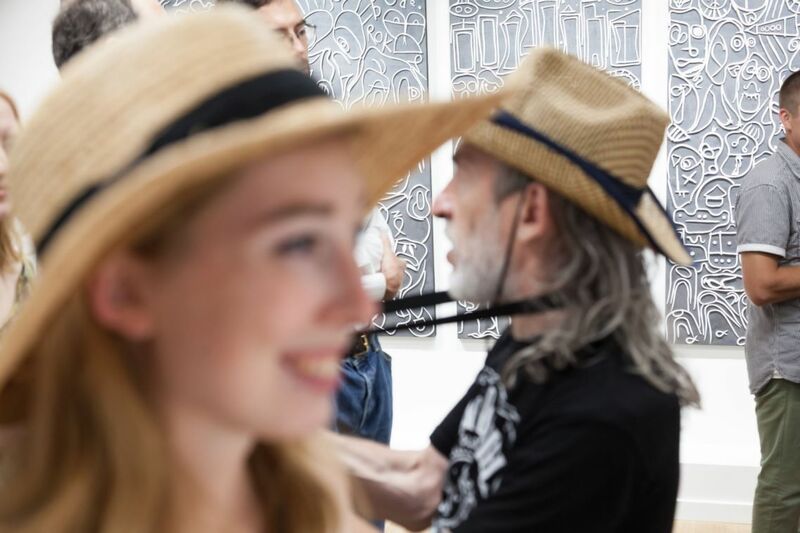 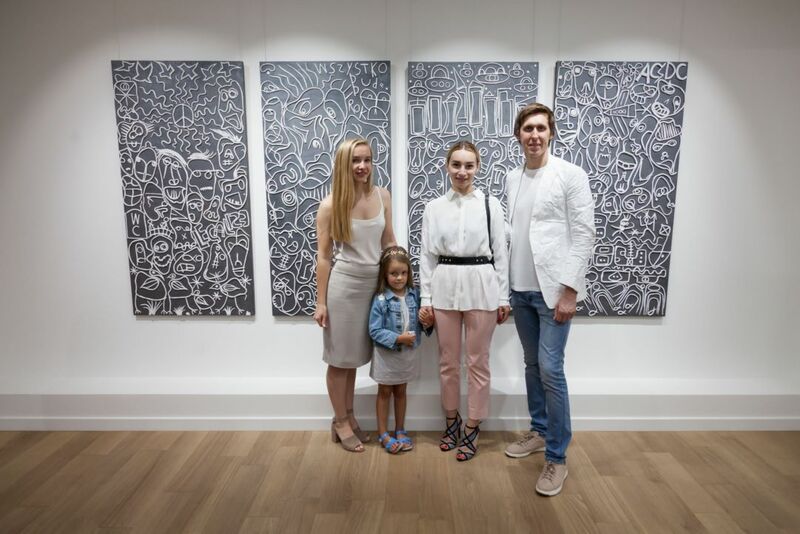 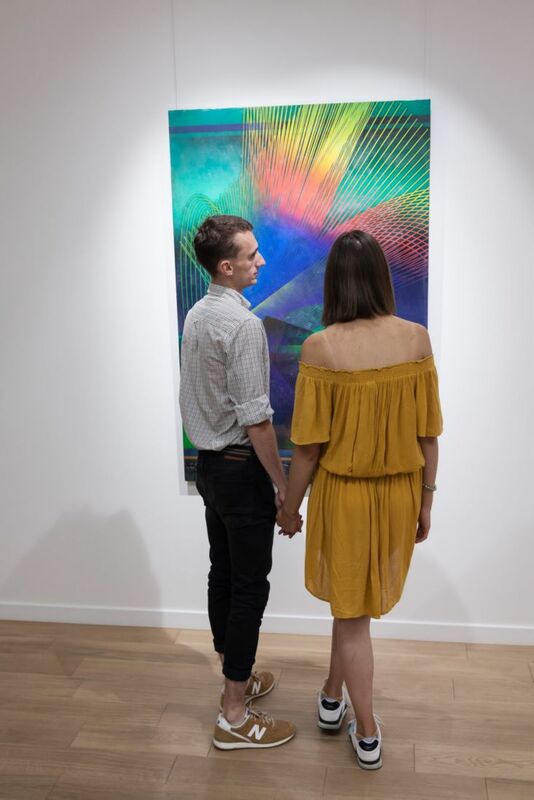 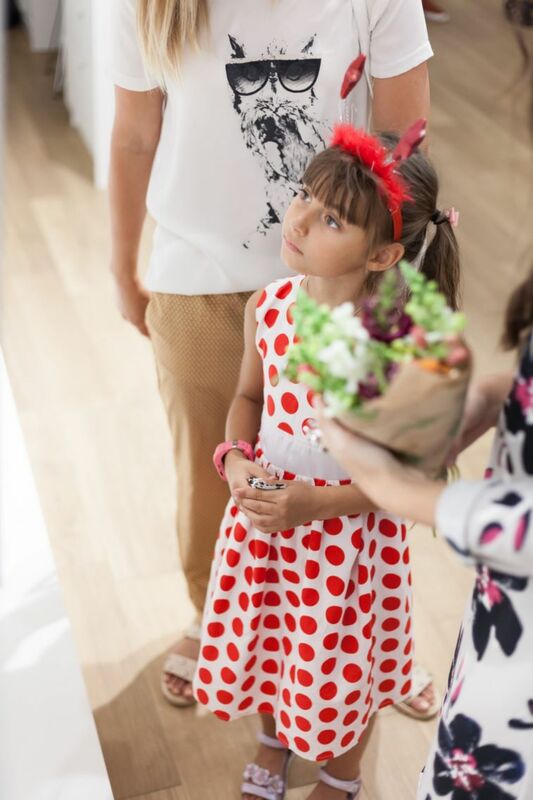 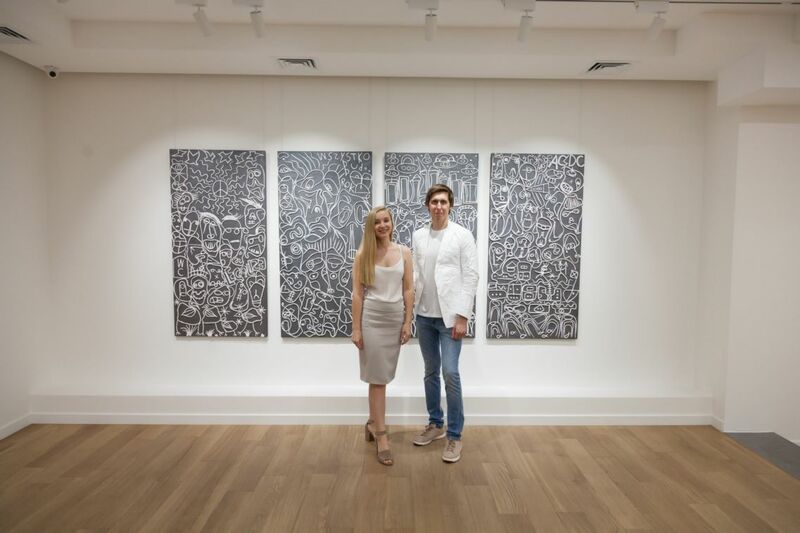 By the way, it was during this event that the student became a laureate of a special award from the founders of the gallery of contemporary art Voloshyn Gallery Max and Julia Voloshyn. 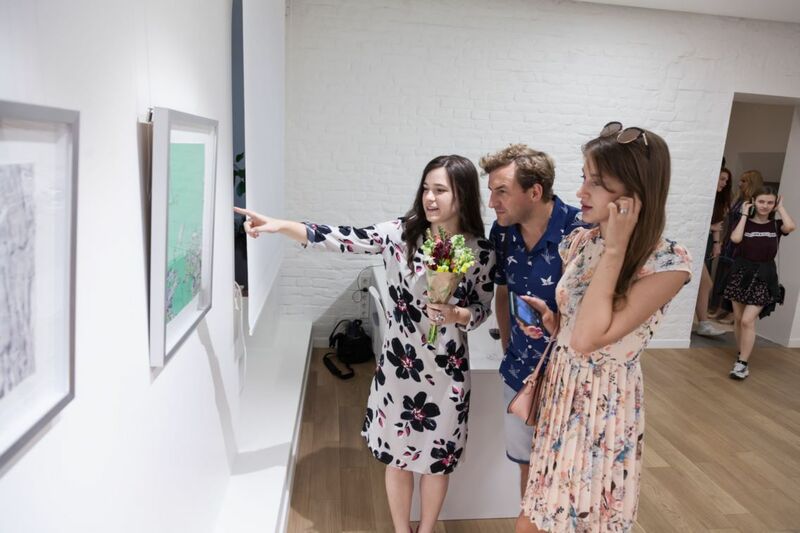 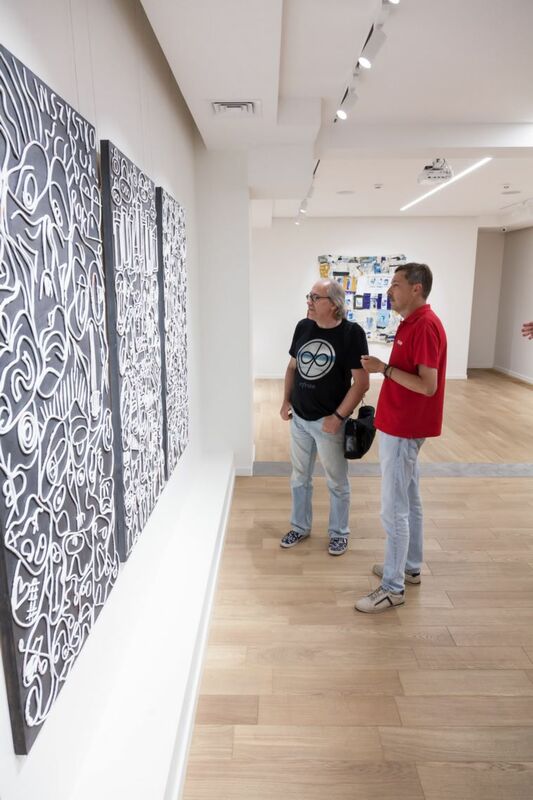 The current exposition for the artist is a vivid example of the effectiveness of such cultural events and their importance in supporting of young talents. 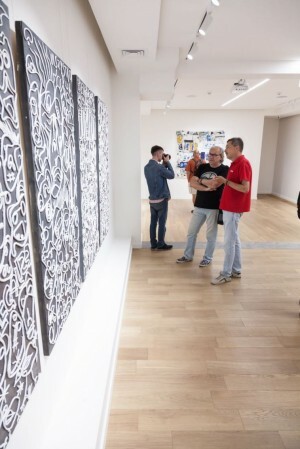 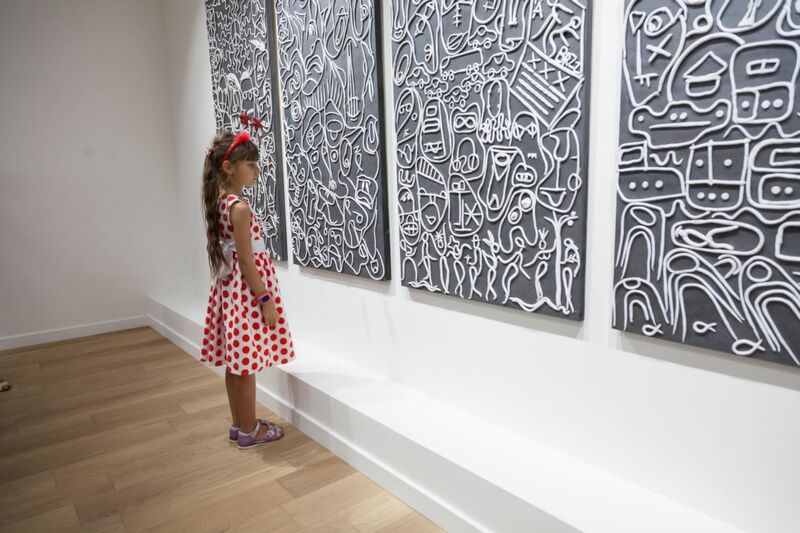 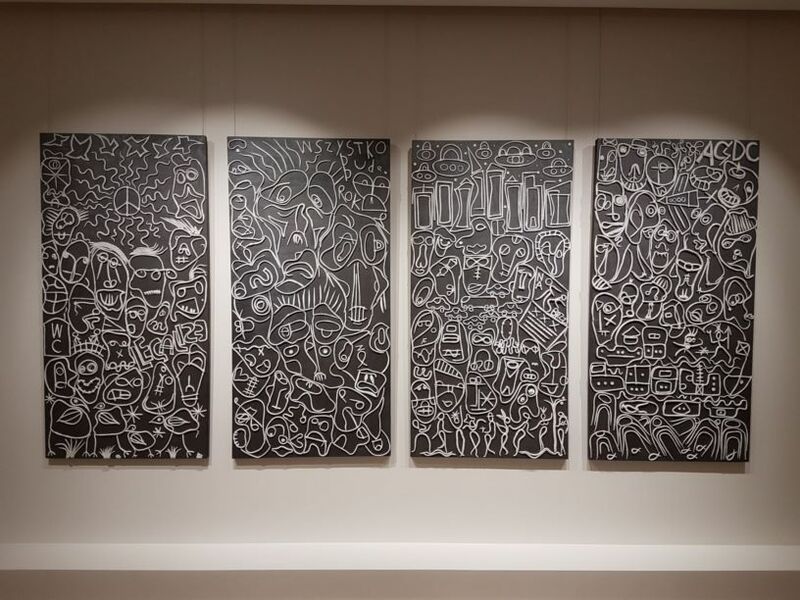 Presented in the capital are the work of the artist entitled “Archaic Family” - a "primitive flag" as well as a series of “images”-drawings to it. 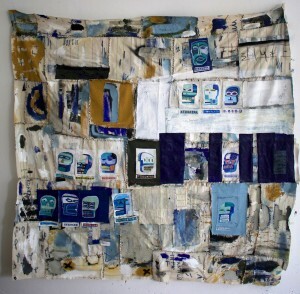 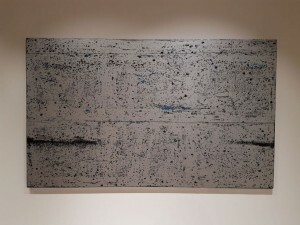 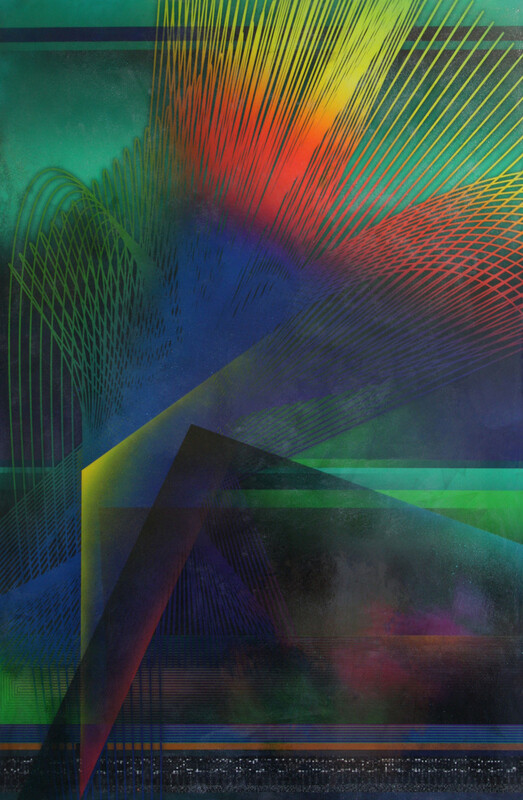 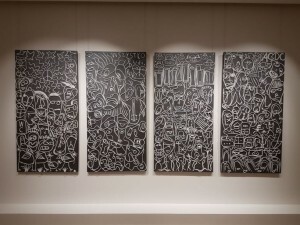 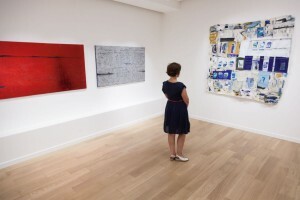 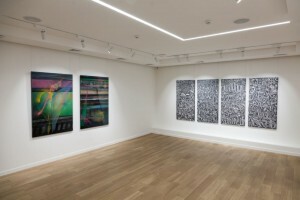 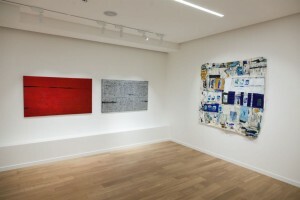 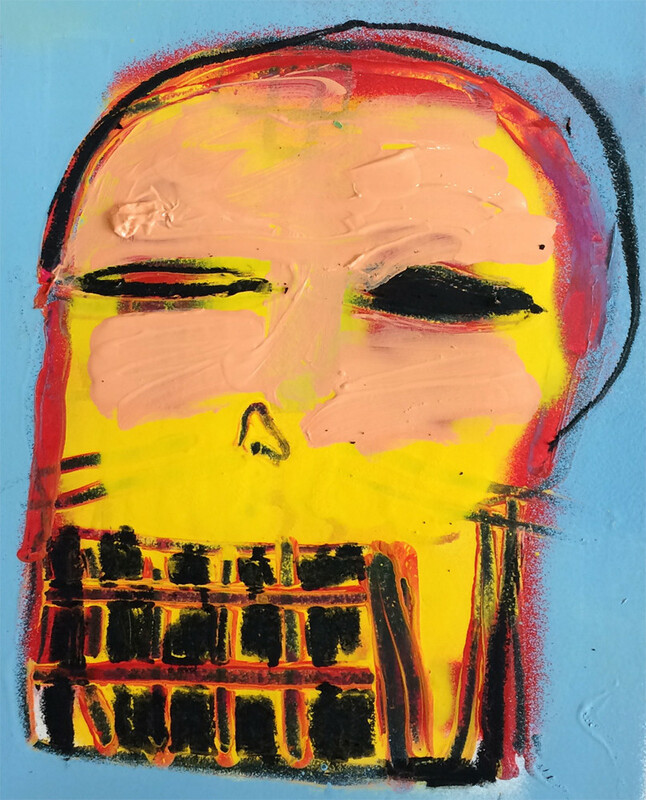 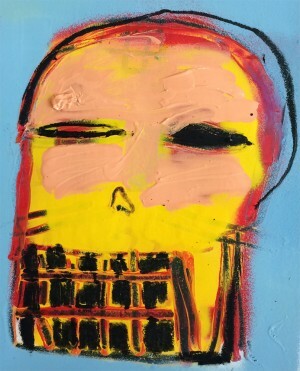 The artist resorts to mixed expressive technique, using unprimed canvas, acrylic, oil, markers, paper, oil pastel, graffiti paint to create a “general image” and find a connection between people, connected only by him. 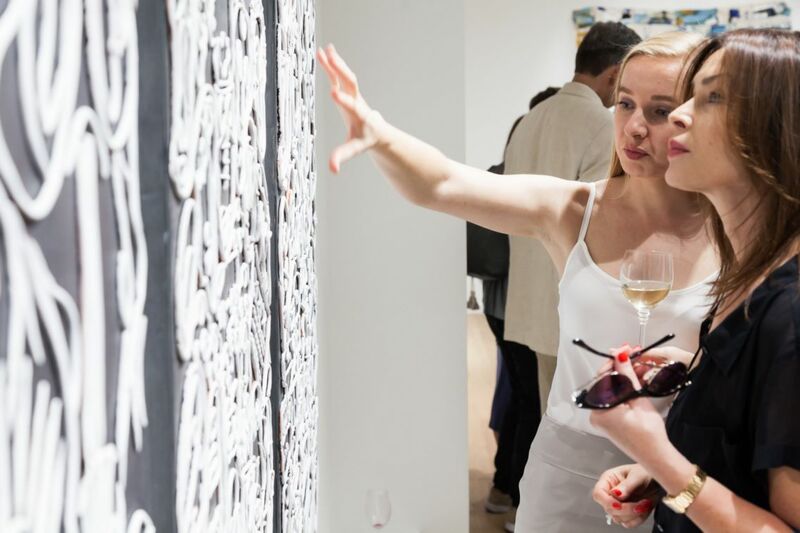 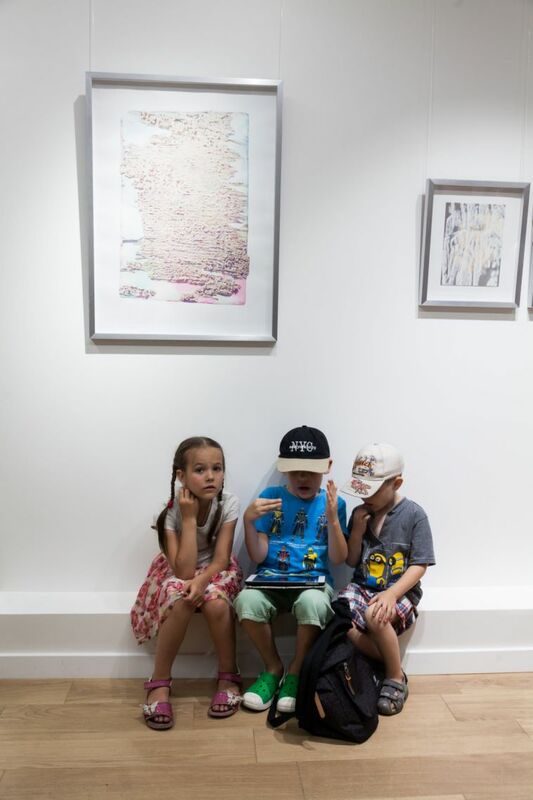 Exhibition SUMMER SHOW will last in the gallery Voloshyn Gallery until August 6, 2017. 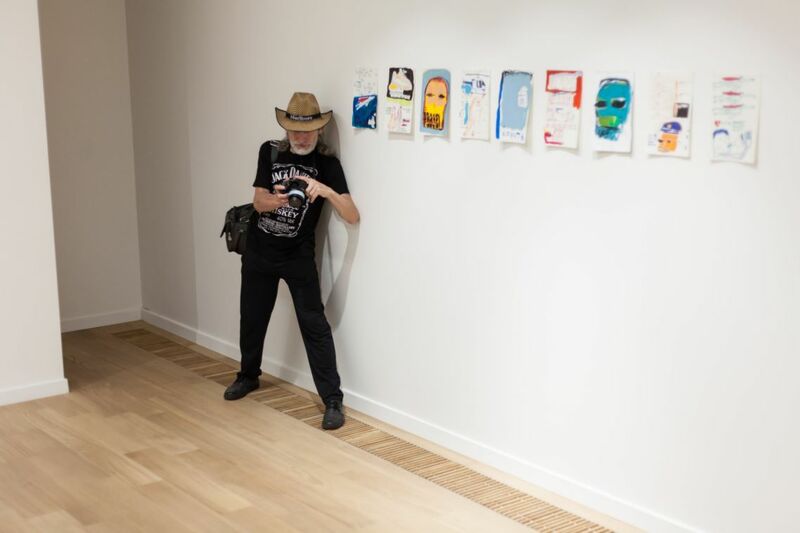 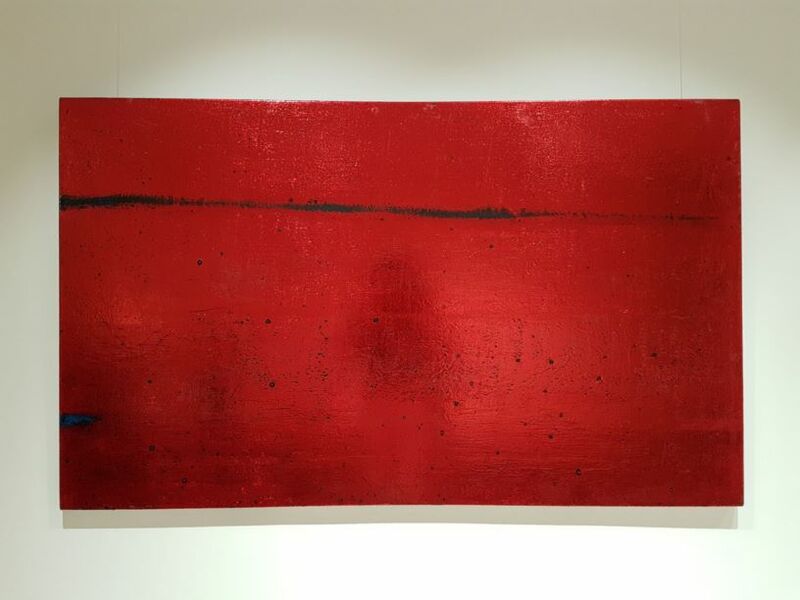 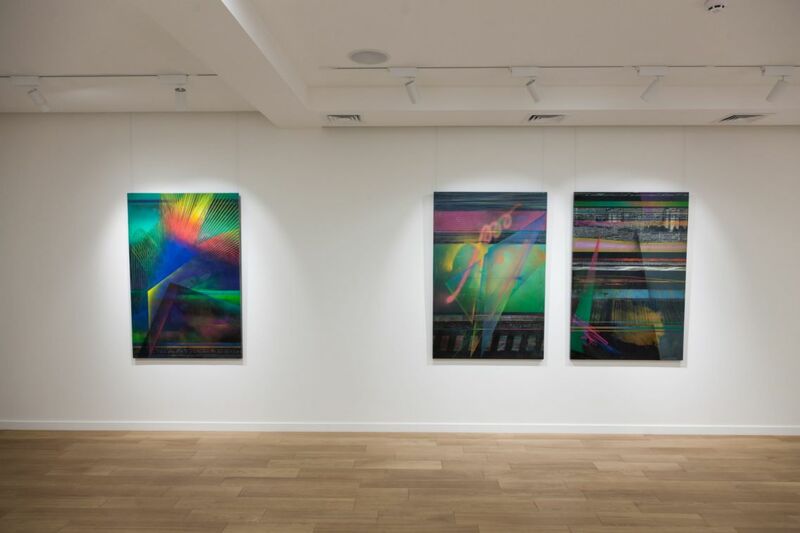 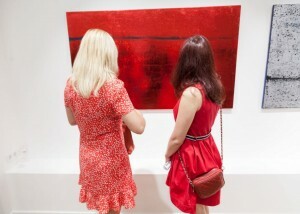 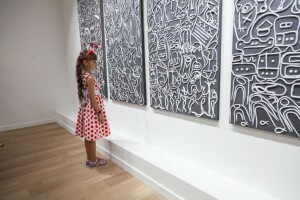 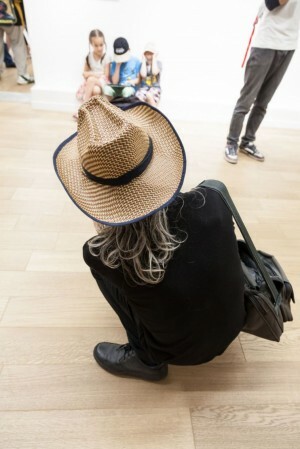 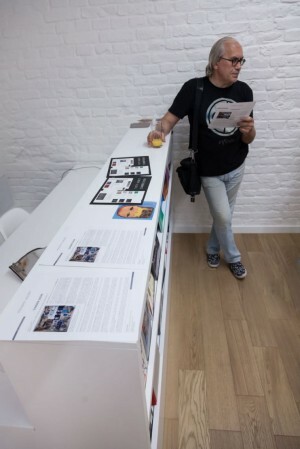 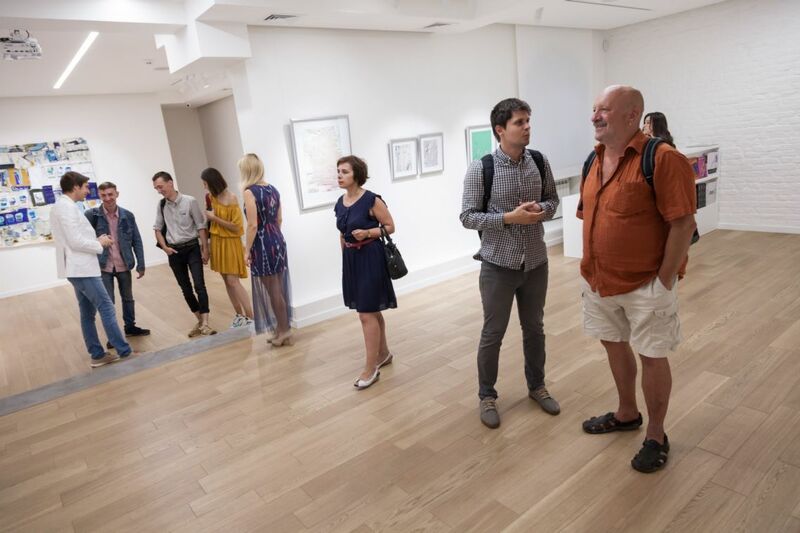 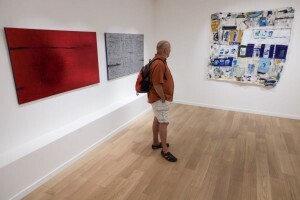 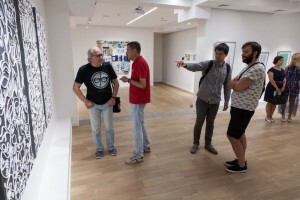 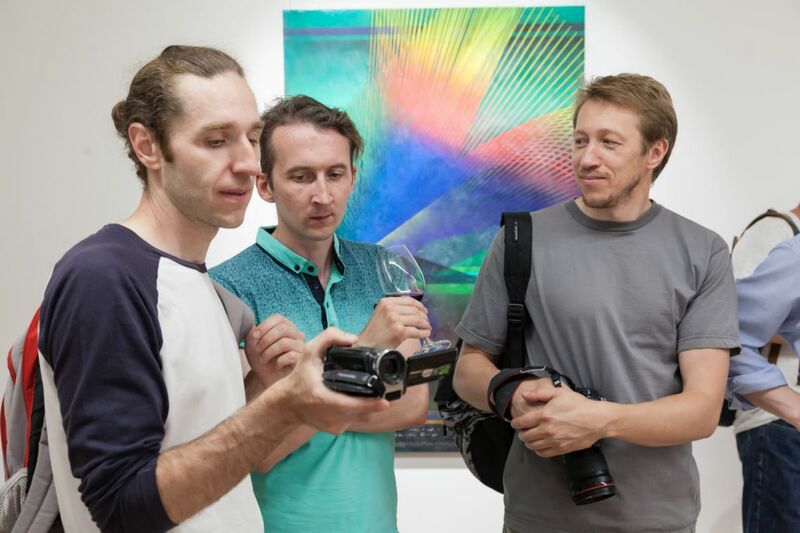 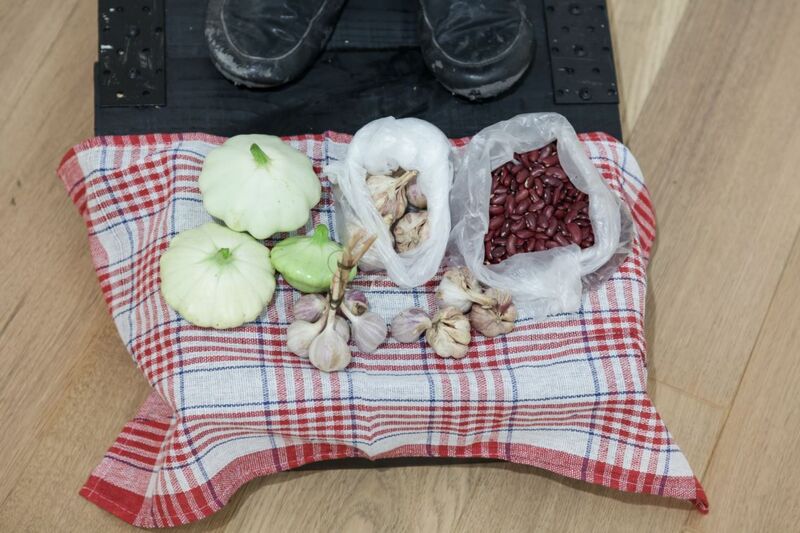 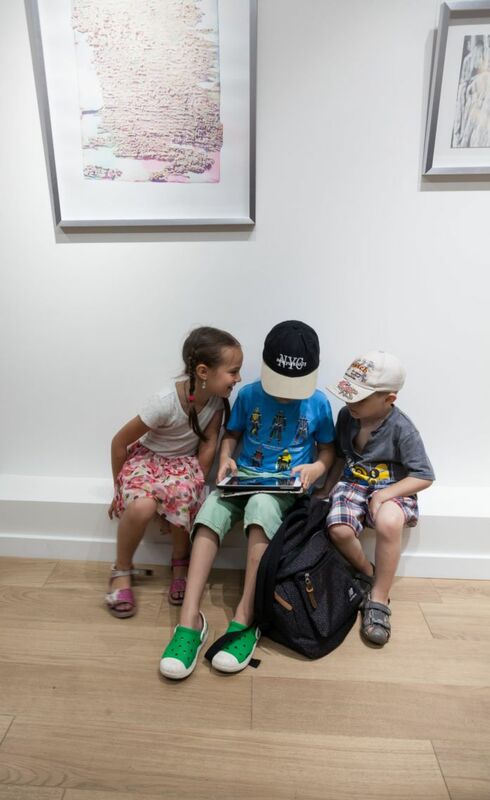 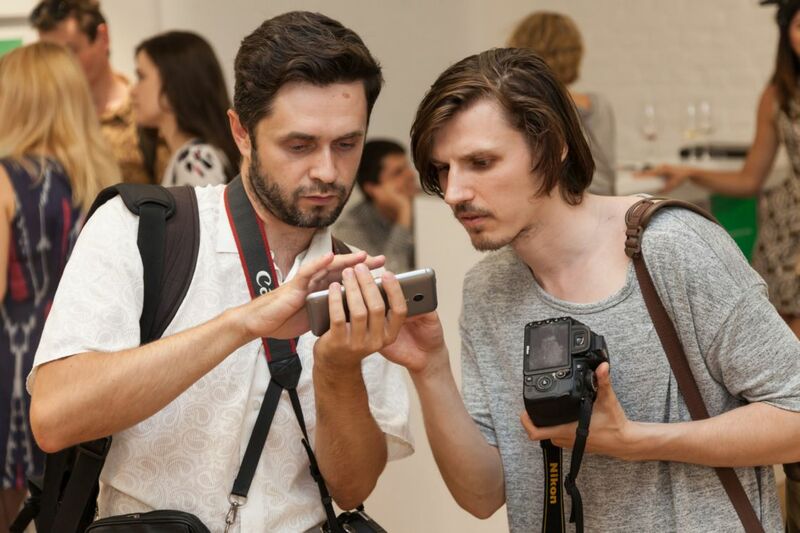 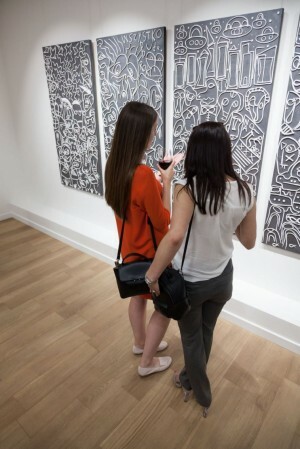 Information and photo about the exhibition provided by Voloshyn Gallery.